Informative commentary in 5 languages on Hopper buses! Enjoy a full of family fun at a theme park designed for children and also explore Singapore at your own pace with the LEGOland Malaysia and FunVee Hop-On, Hop-Off Bus Pass Combo.There’s no end to the fun you can have at Asia’s first LEGOland park! Almost all rides are hands-on, so you and your kids can push, pull, pedal, splash, crawl and build your way through a full day of non-stop enjoyment. Sightseeing in Singapore is really easy and fun with the FunVee City Pass. This fantastic Pass gives day-long access to the open-top FunVee Hopper service. 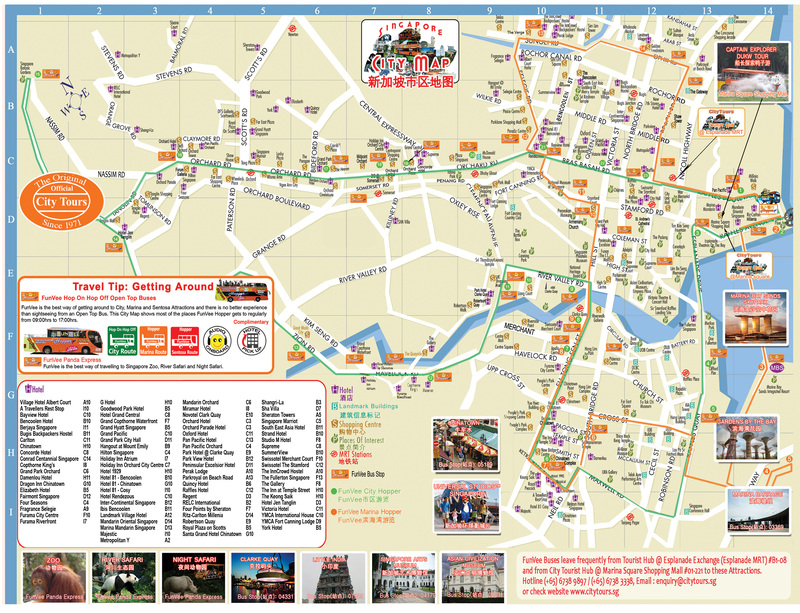 It operates on three different routes with more than 30 different stops taking you close to Singapore’s main attractions like Clarke’s Quay, Orchard Road, Flyer, Merlion Park, Botanic Gardens and more. You’ll smell the delicious cooking aromas and see the colourful ethnic shops of Chinatown, Little India and Arab Street. 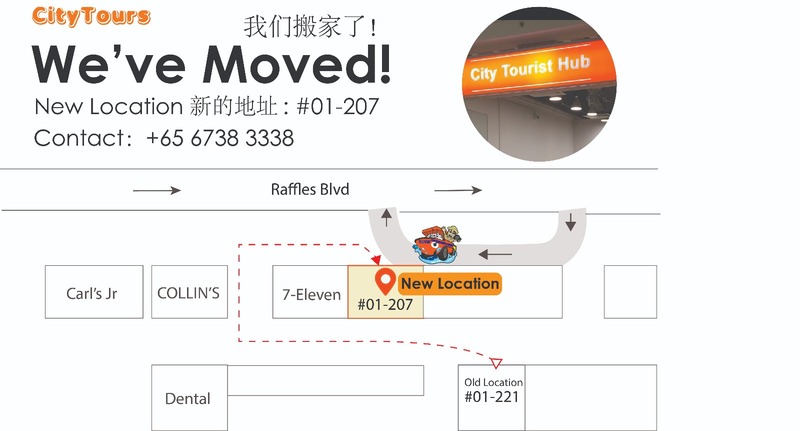 LEGOland: Transfer from Tourist Hub starts at 10:30am. FunVee Bus: Buses depart from 9am to 5pm; every 15 - 30 minutes. Your unforgettable LEGOland Malaysia experience begins when you will travel by coach across the international border to reach LEGOland Malaysia theme park. At the Park, children are the heroes and can explore seven exciting theme areas full of activities including experiment centres, roller coasters, water attractions and shows. At LEGO City, families can enjoy Rescue Academy, racing each other to put out fires and stop robbers, and LEGO City Stage, featuring thrilling interactive shows. Young children can lift off in a LEGO airplane and enjoy the pedal cars at Junior Driving School, while older children can get a driver’s license at Driving School. The first theme zone is The Beginning, where a colorful entrance welcomes you. The Big Shop offers the largest selection of LEGO toys in Asia. At the marvelous Miniland, famous Asian landmarks have been recreated using more than 30 million LEGO bricks.Land of Adventure, takes you to the ancient worlds of Pharaohs and dinosaurs. Young children can hunt for treasure in Lost Kingdom and ride the exciting Beetle Bounce. Older kids can journey to the peak of a forgotten volcano in Dino Island. In LEGO Kingdoms, you’ll be transported to the age of myth, legend, castles and dragons. LEGO Technic is action-packed, with high speed rides for the brave and exciting LEGO workshops for the young. Little ones can build models at LEGO Academy. Older children can ride the Technic Twister or experience the thrills of a test driver at Project X, a wild ride on a steep switchback track. At the end of the day, you will be dropped at the Tourist Hub and will need to make your own arrangements to get back to your hotel. FunVee Hop-On, Hop-Off Bus Pass. This great Pass gives you unlimited access for one day to the open-top hop-on hop-off FunVee Hopper bus service, which takes you to most of the city’s main attractions and retail areas. Jump on and off the bus to see the sights or to go shopping. Or just sit back and listen to the entertaining and informative commentary. Click here for the FunVee City Hopper (Green) Timetable. • Marina Square Bus Stop (Main Stop outside Pan Pacific Hotel). Guest will need to avail the attraction ticket on the tour date booked. Hop On Hop off tour can be used next day of tour date booked. Please proceed to Tourist Hub at least 15 minutes before the ride starts. Please check whether a visa is required for entry into Malaysia and re-entry into Singapore. Please ensure that your passport has a minimum of 6 months validity. For foreigners, please remember to bring along your departure immigration card to exit Singapore for Malaysia.